"The Art of War provides a brilliant, novel interpretation of ancient principles of strategy and leadership. The documentary is packaged so that anyone interested in strategic thinking-- whether a business leader, student, scholar, or everyday armchair strategist--will approach problems more thoughtfully and lead better as a result. The footage is inspiring and would keep any audience engaged. I've used the video in my classes and given it as gifts--don't mistake this DVD for a "war history" piece. 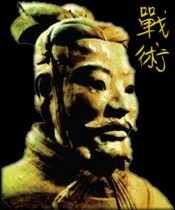 The Art of War will take the viewer to the next level of thinking about strategy." Colonel Thomas A. Kolditz, West Point professor, author of In Extremis Leadership: Leading as if Your Life Depended On It. In ancient China the General Sun Tzu created a work that has successfully travelled throughout the ages ... THE ART OF WAR. 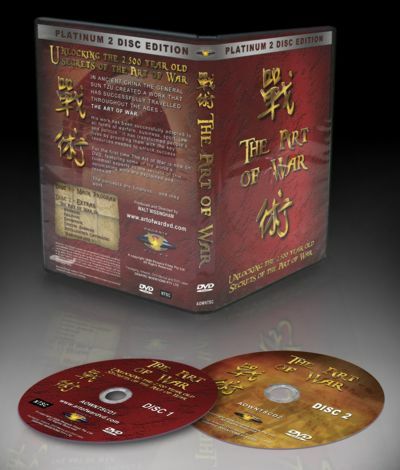 For the first time The Art of War is now on DVD, featuring some of the world´s foremost experts as the secrets of this astonishing work are explained and revealed. The concepts are timeless... and they work. The Art of War DVD is over two hours of material including a chapter by chapter analysis of The Art of War and a substantial "Extras" component that features The Art of War dealing with: Business, Suicide Bombers, Religion, Education. Intelligence Gathering, The Battle of Stirling Bridge and a "Was Sun Tzu Real?" Chapter.